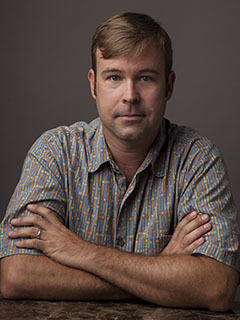 Lawrence Lanahan has written for Al-Jazeera America, Columbia Journalism Review, NPR’s Morning Edition, and Colorlines, among other outlets. A recipient of the Carey Institute’s Logan Nonfiction Fellowship, Lanahan’s The Lines Between Us, a fifty-episode radio series for Baltimore’s WYPR, won Columbia University’s duPont Award. The author of The Lines Between Us: Two Families and a Quest to Cross Baltimore’s Racial Divide (The New Press), he lives in Baltimore.